Windows 2008 R2 shared disk offline solution. Here are the steps I used to bring a shared disk online from within Windows 2008 R2. I was attempting to create a Microsoft Cluster within VMWare ESXi when I ran across this issue. This worked to bring the disk online and I was able to add it to the cluster I created, however I have run across some other VMWare issues preventing me from bring up the other node of the cluster. Nonetheless, here was how I brought the disk online. Apparently, this is how Windows 2008 handles all newly added shared storage. 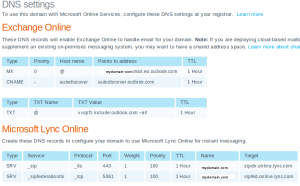 @ IN MX 0 mydomain-com.mail.eo.outlook.com. Lync presented a bit more of challenge. And I found several sources on the Internet of people trying to get the records set up properly, but all of them seemed to have something wrong. 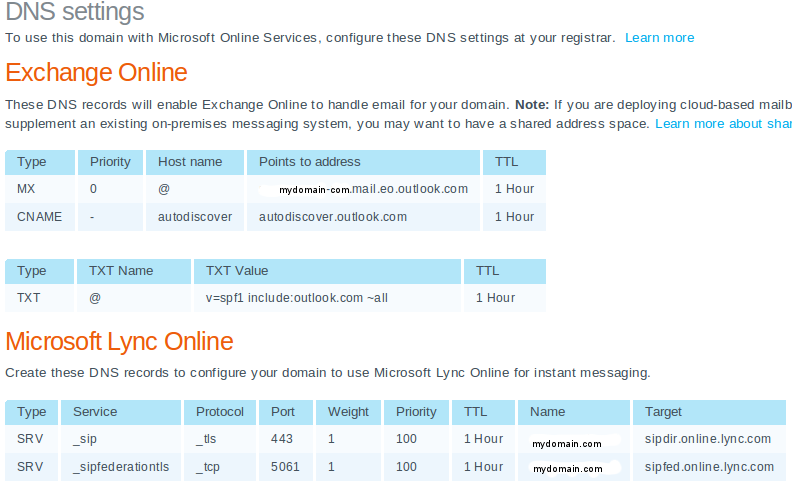 Ultimately, these are the records that I had to add to access my Office365 Lync server. The lesson learned from setting these records should help records that Active Directory requires that I have never had occasion to look at before. _sip._tls IN SRV 100 1 443 sipdir.online.lync.com. _sipfederationtls._tcp IN SRV 100 1 5061 sipfed.online.lync.com. Sharepoint is giving me a bit of an issue that I have been trying to address with Microsoft, but they have been less than responsive. I hope this is not how small businesses can expect to be treated by Microsoft when this product goes live. It would certainly cause me to reconsider what I otherwise think is a pretty good product. Anyway, I believe I have the records defined properly, but I cannot verify them because I am unable to enable Sharepoint Online in my domain properties or intent ( I have added a screen shot of the issue at the bottom of this post.). I will update this when, I finally hear something from Microsoft. This allowed iPhone Lync clients to use the auto detect server feature. I suspect that this was needed for other clients too, since I had to set it up manually before. I am going to try this on MacOS later to see if that works better too.